Roc Massaguer (Outconsumer) unveils all the secrets behind the construction of the only park in Europe dedicated to the Italian brand. Chapter-by-chapter, you will gain an exclusive insight into the initial construction works that went into PortAventura World’s new park. From the placement of the very first stone to the final piece on the central structure of the Ferrari Land accelerator: Red Force. 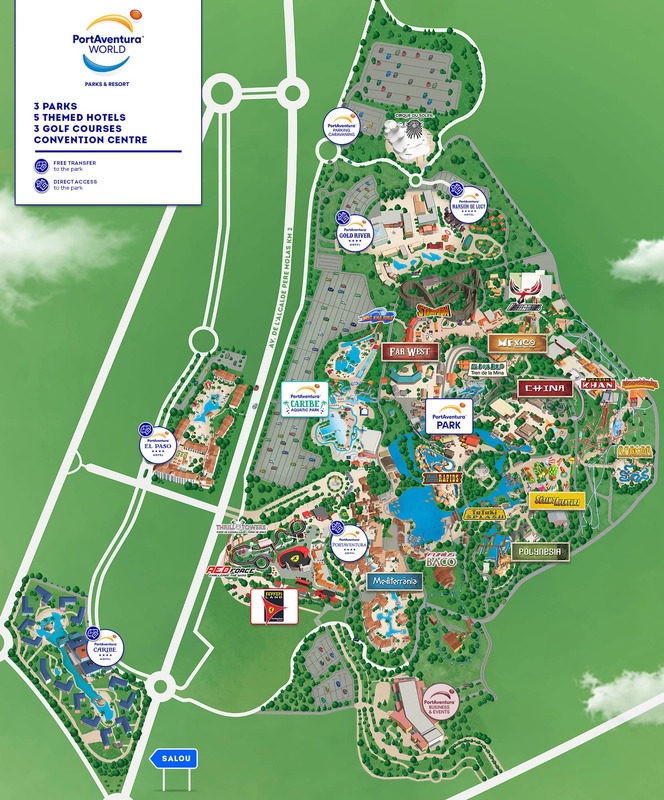 We will also explore some of the corners of the park, like the 8 simulators on which visitors can participate in international competitions, the typical Italian Trattoria, and the house of Enzo Ferrari to name only a few. On 26 February 2016 the last piece was placed on the central structure of the Ferrari Land accelerator at PortAventura, reaching a height of 112 metres and making it the highest roller coaster in Europe. We will get to know every little detail of construction of the highest point of the entire Ferrari Land theme park, and become fully immersed in its creation. 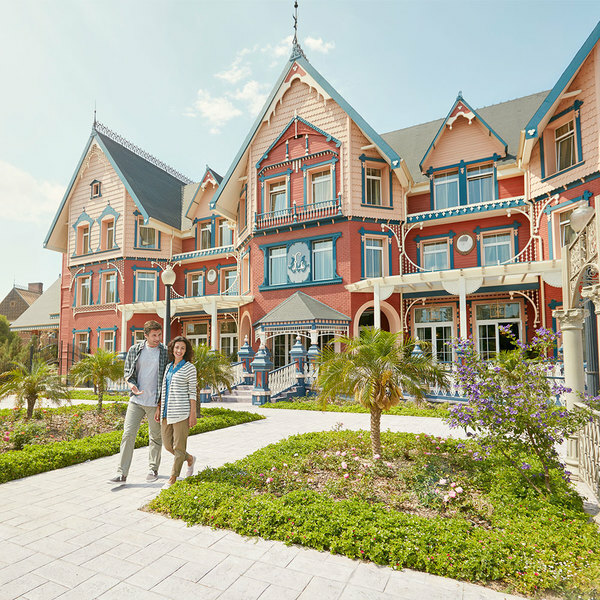 We will take a look at the new theme park’s long-awaited 8 simulators where visitors can create their own competitions on an international level. We will also be getting to know every detail of the most emblematic buildings in Italy, the country of origin of the legendary brand. Don’t miss seeing how the construction of the theme park evolved on a day-to-day basis. From our typical Italian Trattoria to the reproduction of the home of founder Enzo Ferrari; a must-see for all fans of the motor-racing team. See how the Ferrari shield was placed on our Vertical Accelerator and discover many more secrets and interesting facts about the greatest attraction of our new theme park, unique in Europe. Get ready for a high-speed experience at Ferrari Land. Travel from 0 to 180 km/h in only 5 seconds! At last! The time has come to crown Ferrari Land’s Vertical Accelerator with the world's most famous motor emblem, one of the three shields bearing the image of the “Cavallino Rampante”. We place the Ferrari shield on one of the park’s most desirable attractions. Do you want to know how a 12-metre shield is constructed? What better way to discover the secrets behind the construction of the only park in Europe dedicated to the Italian brand than with Roc Massaguer himself? We will uncover all of the mysteries behind the creation of Ferrari Land and during each chapter of Ferrari Land Diaries we discover, exclusively, the progress of the first steps to build the new PortAventura World park. Live the passion and feel all the emotion on Red Force! Enjoy the highest and fastest Vertical Accelerator in Europe. 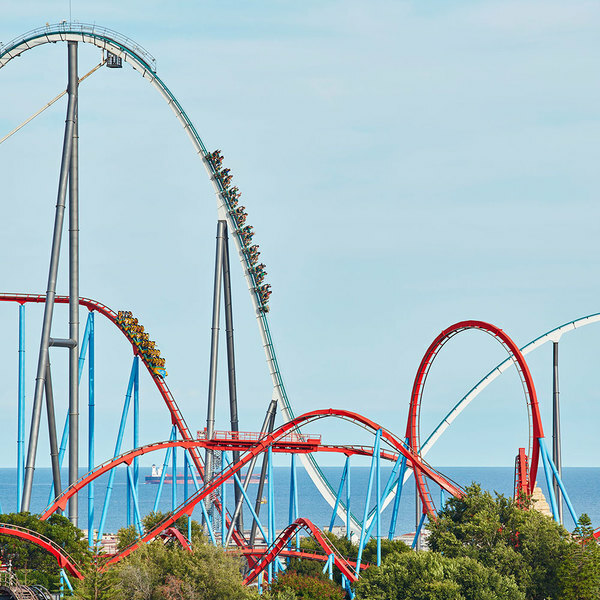 You can only experience such a feeling at Ferrari Land, PortAventura World’s new theme park. Live an experience that is unique in Europe at Ferrari Land, PortAventura World’s new theme park. A dream for everyone who loves adrenaline, speed, F1 and one of the most emblematic brands in the world. Discover how PortAventura World Parks & Resort's third theme park has become a world of exciting attractions overflowing with technology and adrenaline for all ages. Don’t wait any longer to get to know the Ferrari Land theme park. It’s getting closer to Ferrari Land’s grand opening! Feel all the adrenaline of the construction of Europe’s first theme park dedicated to the legendary Italian motor-racing team, with a previously unaired video that you simply cannot miss.